OMRON Corporation will globally launch in January 2019 a total of 2,512 models of its DC 3-Wire E2E NEXT Series Proximity Sensors, which boast the world’s longest sensing distances (*1) and are now newly equipped with IoT features. These sensors reduce risks of sudden facility stoppages by a factor of 3 (*2); they also detect signs that warn of such stoppages and notify users via the network. They help improve facility operation rates by preventing unforeseen facility stoppages and reducing facility downtime. At actual manufacturing sites, unforeseen facility stoppages are a major management issue, for they directly lead to lost production opportunities. To minimize facility downtime, manufacturers must procure on-site maintenance personnel who can readily address unforeseen facility stoppages. With labor shortages becoming increasingly severe, however, demand is growing for ways to utilize IoT to maintain and improve facility operation rates without relying on human experience or skills. 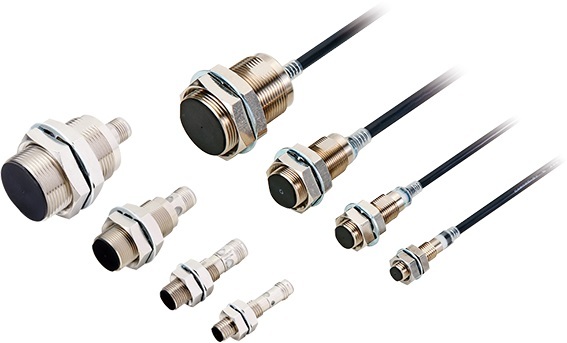 Current proximity sensors characteristically have shorter sensing distances, and this entails many risks. For example, equipment vibration may cause the sensor body to move too far away from or come in contact with the sensing object. Such incidents are said to account for approximately 1/5 of facility stoppages (*3). 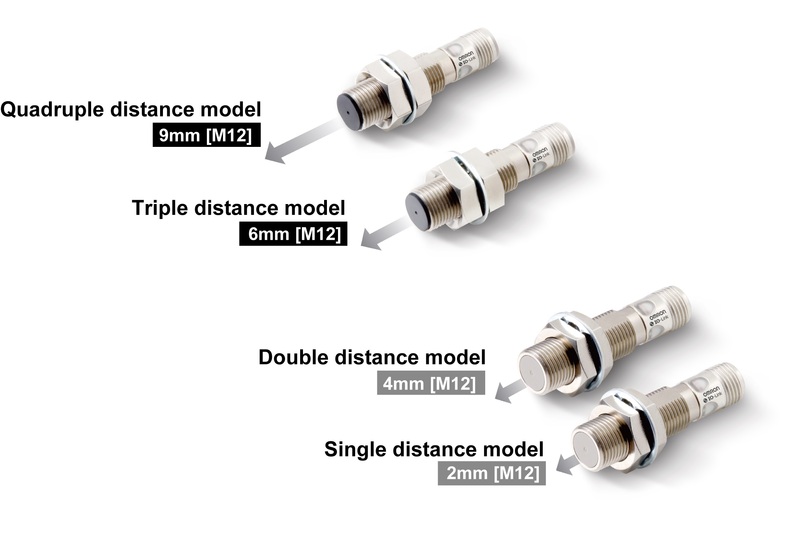 The E2E NEXT Series Proximity Sensors (DC 3-Wire Models) to be newly released are equipped with OMRON’s own Thermal Distance Control 2 and PROX3 hybrid circuitry technologies, which enable sensing distances that are at least twice as long as previous models (*4), and thus can reduce risks of such facility stoppages by a factor of 3. Distances between sensor bodies and sensing objects are monitored constantly, and users are notified via IO-Link communication (*5) if they become great or too small. This allows users to identify warning signs of sudden facility stoppages, which in turn allows for timely maintenance, all in all enabling stable facility operation without having to rely on the experience or skills of maintenance personnel. OMRON set forth a concept called “innovative-Automation!” consisting of three innovations or “i's”--”integrated” (control evolution), “intelligent” (development of intelligence by ICT), and “interactive” (new harmonization between humans and machines). OMRON’s endeavor is to dramatically improve the productivity and quality on the ground in manufacturing sites. To this end, OMRON will continue to expand its lineup of IoT-enabled control devices, and, with the help of its clients, expedite the “intelligent” element (i.e. making manufacturing smarter) in manufacturing sites, which is key to delivering on the “innovative-Automation!” concept. This allows for more spacious design with less risk of contact. 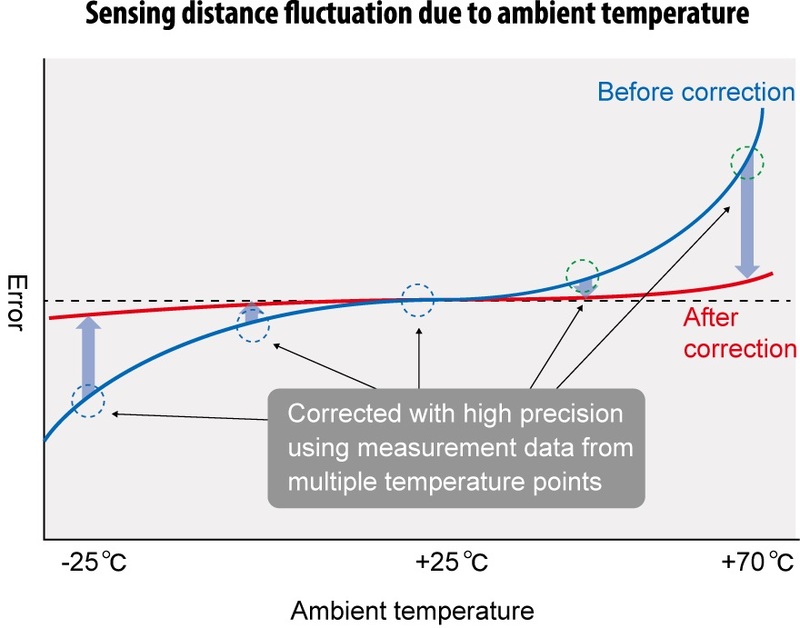 Thermal Distance Control 2 enables stable long-distance sensing capabilities by measuring with high precision each sensor’s characteristics under multiple temperature conditions, and calculating correction values using OMRON’s own polynomial algorithm, which are then written into the sensor’s PROX3 hybrid circuitry. This allows you to know in real time, from a single location, the state of multiple sensors, which in turn enables early identification of the site and substance of failures. OMRON offers a lineup of 2,512 models that come in a variety of physical sizes and with different sensing distances to cater to different needs. (*5) Standardized technology for communicating with sensors and actuators, prescribed by the international standard IEC 61131-9. (*6) Only PNP E2E NEXT 3-wire model series equipped with IO-Link; 2-wired series is not equipped with IO-Link. Recently, OMRON has developed a manufacturing innovation concept, called “innovative-Automation!” With this concept, OMRON is currently committed to bringing innovation to manufacturing sites through three key innovations, or three “i's.” Through these innovations in the area of automation, OMRON aims to enable significant productivity improvements in manufacturing sites in order to achieve high-value-added manufacturing. With the first “i,” “integrated” (control evolution), OMRON will seek to advance automated control technology so that virtually any operator, even inexperienced operators, can effortlessly perform work that previously required the expert skills of experienced workers. With the second “i,” “intelligent” (development of intelligence by ICT), OMRON seeks to create constantly evolving equipment and production lines. By adopting a wide range of control devices and artificial intelligence (AI), machines can learn through experience and maintain themselves in optimal condition. For the third “i,” “interactive” (new harmonization between humans and machines), OMRON pursues the development of a new harmonious relationship between human operators and machines. Working together in the same workspace, machines will be able to assist human operators by recognizing human thoughts and behavior.